When a company grows to more than 15 employees, it is almost inevitable that it will decide to start using an attendance management software, in order to simplify actions that would otherwise require too much in terms of resources. So, no more Excel sheets. Instead, you need a digital system tied to the use of virtual badges and virtual clock-in and clock-out by employees. For those who will be using such solutions for the first time, finding the right software for their needs might be a more complex task than they expected. The sheer variety of options available can be perplexing. If this is your case, we recommend focusing on certain features that we believe to be fundamental for a modern attendance management software nowadays. We have identified 6 features of crucial importance. The times when we used to distribute badges and shifts to our employees manually are (thankfully) history. Today, you can choose attendance management systems that offer great transparency and autonomy to employees, enabling them to always keep an eye on their hours worked, their use of overtime and any anomalies that come up, and allowing them to interact with the approval processes for requests. The same is true for managers, who need to be able to keep tabs on team attendance and easily resolve the simpler anomalies. 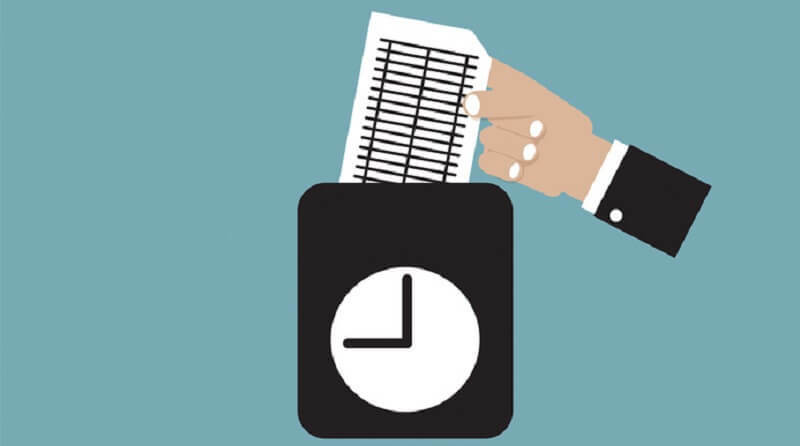 Such an interactive process of attendance management not only increases employee involvement, but also reduces the managers’ workload, who will have fewer anomalies to resolve later in the month, when it’s time to finalize the attendance sheet. Let’s be honest: Italian bureaucracy means that attendance monitoring is a complex matter, with rules that can change dramatically from company to company. However, this doesn’t mean that your employees should be affected by this complexity. Choose a system that makes everything simple for both managers and employees, and set it up so that only the attendance manager has to deal with the more complex aspects of the regulations, such as the creation of the employee attendance register. The argument between cloud-based and on-premise software has been settled long ago in favor of the former, because of the many advantages such software offers. If you want to get a deeper understanding of what these are, we recommend our article 7 Reasons SaaS is the Only Solution that Makes Sense! Virtual clock-in and geolocation are two features that should be a must when you choose an attendance management software. These will allow all your employees who happen to be working somewhere else than at the office to easily clock in and out via smartphone, without any fear that the system could abused. Advanced rules for clocking in and out and overtime, such as: rounding up or down, different allowable timeframes, overtime calculated according to different percentages depending on the time zone or the day, etc. A good system must therefore be flexible enough and have the requisite depth to handle all of these cases, as well as others. An attendance management system loses much of its usefulness if it is not integrated with the company’s payroll software. One of the main uses of such a system is to convey the data necessary for the processing of individual pay slips. In your search for the best attendance software for your needs, be sure to ask potential providers if their systems are designed to connect to the payroll and tax system that your company is using.